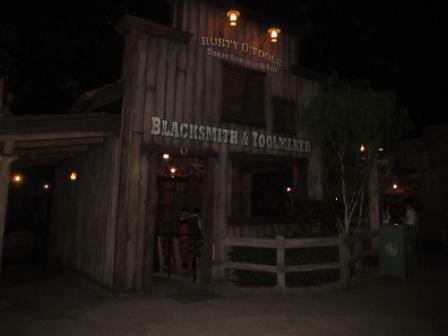 Hong Kong Disneyland Grizzly Gulch likes stepping into a Western movie. 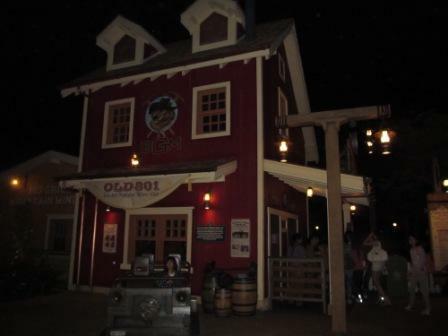 This is a comparatively section of the theme park and looks like the old west. We went there right after watching the firework and dining in one of the Disneyland restaurants. It was dark at night. We were in a roller coaster. The tunnel was dark and you can't even see your fingers. It goes forward and stops all of a sudden. Then, it moves backward to create the excitement. In my opinion, I like Space Mountain more. However, due to the darkness, it did feel like sitting in a mine car. If you had ever watched the movie of Indiana Jones and the Temple of Doom, you may able to imagine how it feels. There were other attractions in this section where you can see the jail and other old western set up which was pretty cool. It was getting late. We still haven't checked out the Toy Story Land. Therefore, we chose to skip the rest of the attractions in the Grizzly Gulch. We passed by a construction site on the way to our last stop, the Toy Story Land. The banner said that the site is for the haunted house. I believe that it is another Hong Kong Disneyland expansion. We did learn our lesson that if we could have made some good plan ahead of time, we would not be so exhausted and rush from one attraction to another. Some of them close early that we even didn't have any chance to line up at all. Check out our Disney dining experience here, too. 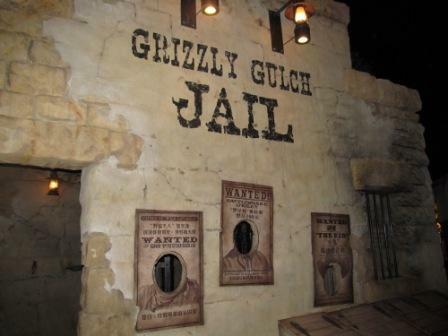 Where else did you check out in Hong Kong Disneyland Grizzly Gulch? Share your experience with us.